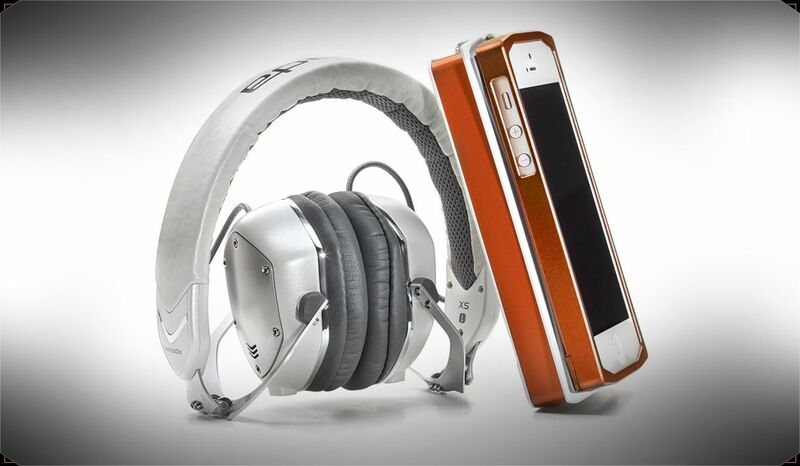 V-Moda XS on-ear headphones: Get ready to upgrade from whatever you’re using now. Since launching this site, I am slowly becoming something of a headphone snob. Let’s just say I was at one time able to buy the cheapie earbuds from the airline and be perfectly satisfied. Now? Not so much. If you’re like me, and care more about comfort and great sound than a big name brand, you have to check out the V-Moda XS on-ear headphones which may be the last pair I ever want to own. With spectacular sound, great design, and hours-long comfort–a trifecta I rarely find–they even make me want to replace my earbuds forever. And that’s saying something. The Italian company has been making fashionable headphones for about ten years and honestly I’d never tried them out. The surprising thing is, the V-Moda XS headphones are not only about fashion at all; the company seems to lead with technology and ergonomics over styling. The phones are remarkably lightweight and wildly comfy, thanks to an adjustable, extendable, leather-covered headband; plus V-Moda’s cushioned, elongated honeycomb-shaped hexagonal headphone. As with Fanny Wang headphones, these are on-ear not over-ear, meaning don’t cover your entire ear. I think that this is the wave of the future for a lot of audiophiles. Unless you’re a deejay, or someone who wants to be all, LOOK AT MY HUGE HEADPHONES, WORLD, which I am definitely not. 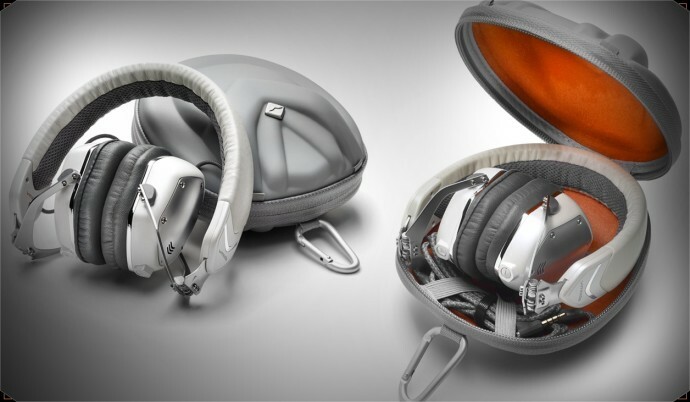 Basically, V-Moda has created a design that eliminates that gap between the headphone and your ear which not only dulls the sound, it makes them uncomfortable. Ever tried to wear earrings for more than 30 seconds in most headphones? Exactly. As far as looks, you can see they’re chic but not in a showy way. And yes, I care about looks. I mean, if I’m going to spend good money on decent headphones, I don’t want to look like I borrowed mine off a teenager. They don’t look masculine per se, but they’re not girlie either; the slightly pearlized off-white color with charcoal accents is lovely, or there’s a handsome matte black too. I could live without the logo on the top of the headphone but eh, small complaint. And they fold down nice and compactly to fit in the protective carrying case (complete with carabiner clip) which is a frequent traveler’s dream. Hey, I even like the cord itself, which has a simple one-button mic (I prefer that to more functionality actually) and is Kevlar protected. In other words, it looks like a shoelace or a bungee cord, and it’s not going to start fraying any time soon, ahemiPhoneCablescough. Phone calls sound great, and I tried it in both an iPhone and Android tablet and it’s definitely optimized for whatever device you’ve got. The last thing that’s awesome about the V-Moda XS, especially for parents, is what they call military-level quality, complete with an Immortal Life Program guarantee–no matter what happens to them at any time, you can get 50% off a replacement. Of course I don’t need mine to survive a parachute jump or a surprise military tank plowing through my living room, however I do have kids who think that stretching your headphone headband is a super fun thing to do. Enough said? Find the V-Moda XS on-ear headphones on the V-Moda site for $212 or from our affiliate Amazon starting at $179.99. They come with a two-year warranty, and you can return them free in the first 60 days after purchase. You can, but you won’t. Thanks to V-Moda for sending a pair to CMT for review.